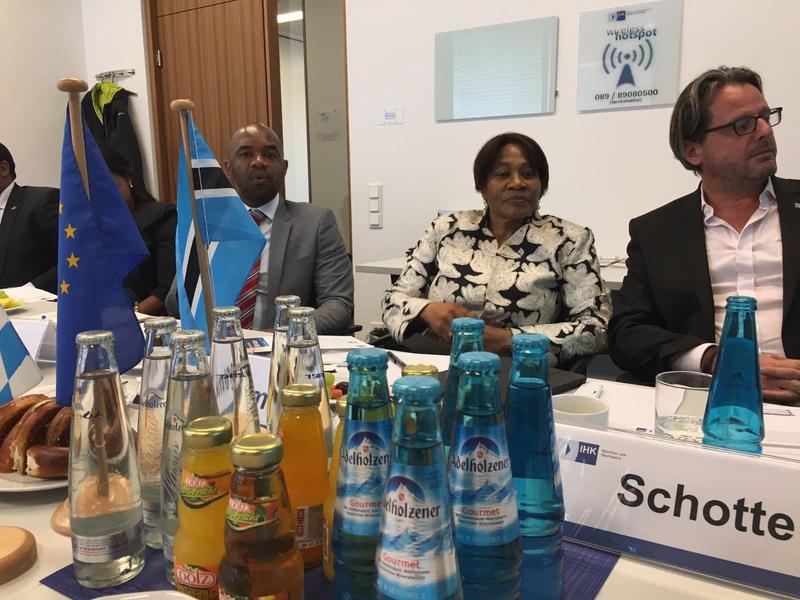 The Embassy of the Republic of Botswana in collaboration with Botswana Investment and Trade Centre (BITC), IHK Munich and Upper Bavaria organised a Botswana Business Roundtable meeting on 16th June 2016 at the Chamber of Commerce and Industry in Munich. The event held under the theme, ‘Botswana: Gateway to Southern Africa’ afforded an opportunity for the Embassy to present investment opportunities available in Botswana. The event, the first in Munich, also provided a platform for the Embassy to present Botswana to the German business as an investment destination. Most of the participants in attendance were from the energy and renewable technologies sector. Mr. Tshephang Kelatile, Director Investment Promotion Botswana Investment and Trade Centre (BITC) provided an in-depth information on investment opportunities available in Botswana amongst all the various sectors and incentives offered.